Next Post-Show Attack of the Hemophilia! Sean Sasser, whom many of us were introduced to through our televisions in 1994 via The Real World, has passed to spirit at the age of 44. My heart goes out to his friends, family and partner, Michael Kaplan. Pedro Zamora, one of the housemates, was HIV positive. He began dating Sean Sasser, who was also HIV positive. Pedro was an activist and educator, and Sean had a quiet, calm demeanor. I fell in love with both of them. They offered a glimpse into a future I desperately wanted- the ability to talk to friends about HIV (something I had not yet done at age 18) and finding a partner that I could share my life with. I sat on my bed, but I wanted to jump out of my skin and do something about HIV- not as me, though, as someone else. A few months later, I finally opened up. The impact of Sean Sasser and his Real World alum has never been lost on me. Before any of us could crack a laptop or iPhone and search “living with HIV”, there was that group of young people dealing with HIV, conveniently bringing the topic into our living rooms. I needed that. And so did a lot of other people. 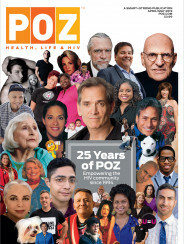 So thank you, Sean, for giving me hope that “poz Seans” can find love and comfort in their own skin. In 2009, I shared a personal story on this blog about meeting Sean Sasser. You can read it here.